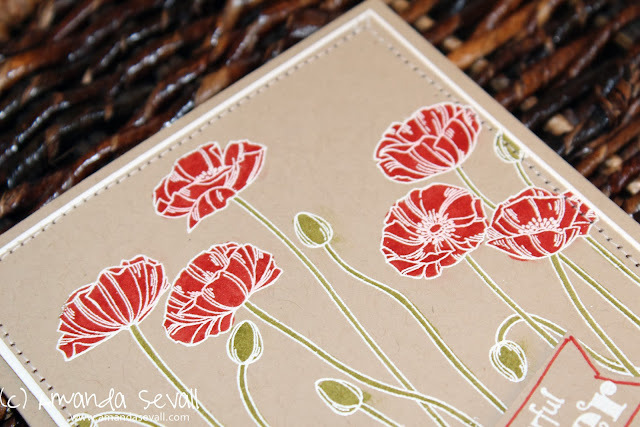 I was originally on the fence about buying the Pleasant Poppies stamp, but when I saw this card, I knew I had to try it out for myself. It may have taken me quite a few months, but I finally did! 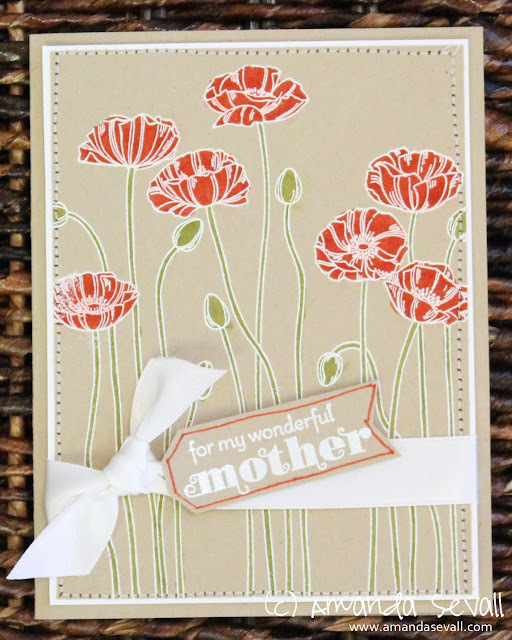 To make I followed the suggested technique of heat embossing the image with white embossing powder, then coloring with markers. Worked like a charm. LOVE this! The white is amazing.